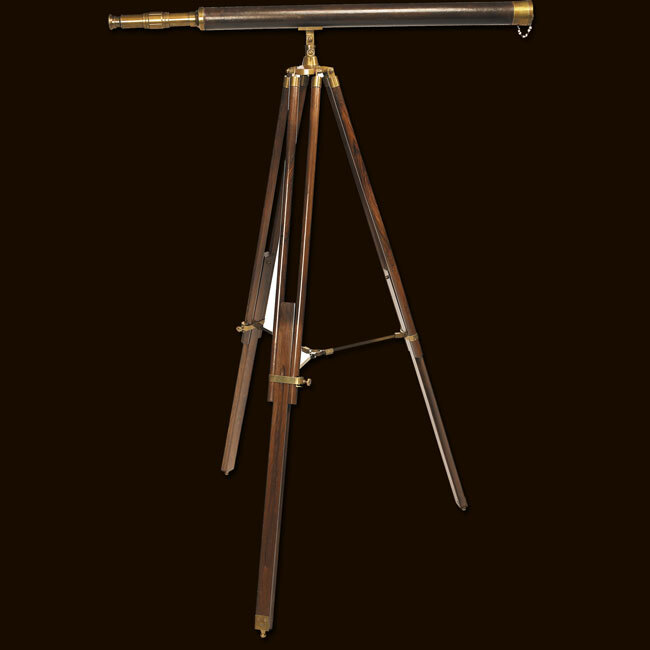 Ref: KA038 After dinner, having enjoyed garoupa combined with chilled Chardonnay, nothing else in more relaxing than observing birds and wildlife or neighbors with a tripod mounted telescope. After all, one never knows when the TV might give out. Instrument quality brass. 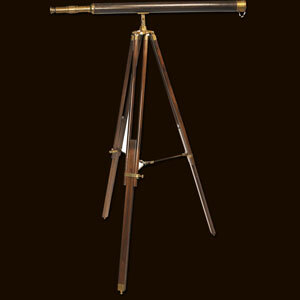 Stand in rich rosewood, with adjustable legs and solid brass fittings. Magnifies 20X. Doubles a striking and bold décor.